Our Edge program is looking to offer a second 16U option for players in birth years 2003 through 2006. We have a number of girls interested in the program and coaches excited to build the team. Our coaches have extensive hockey coaching experience at many levels: Jean-Francois Darcy and Sean MacNeill. The team anticipates two practices per week with optional skill development including participation in our Edge clinics and additional skills clinics. The team will follow USAH recommendations on practice-to-game ratios, and intends to keep travel very manageable. We are excited to be able to offer this opportunity. Please contact us at if you are interested and have questions. * If you came to an earlier tryout, this tryout not require additional paperwork or cost. If you have not come to a tryout, please fill out a registration form and bring it with you along with a $45 check made payable to Monroe County Youth Hockey for the tryout ice, and a separate $150 made to Monroe County Youth Hockey for the team deposit. If you are not an MCYH player, please bring a release with you. Our 16U Independent tryout will share the ice with our third and final 19U team tryout. Thanks to all the girls who came to tryouts this week. The 16U results have been posted here. Thanks to all the girls who came to tryouts the past two nights. The 14U results have been posted here. Thanks to all of the girls for coming to our 16U tryouts. Coach Reston will post the roster by noon on Saturday, April 24. Check here for results. Our Third Night of Tryouts for the 19U Tier 2 Tournament Bound team will be held on Wednesday, April 24th, at 7:00pm at Bill Gray's Iceplex. To register, please print this registration form, fill it out, and bring to the rink. Our registration table will be downstairs in the lower lobby in one of the party rooms (down where the noisy video games are). Make a quick right when you enter the rink and head down the stairs and you will find us there. 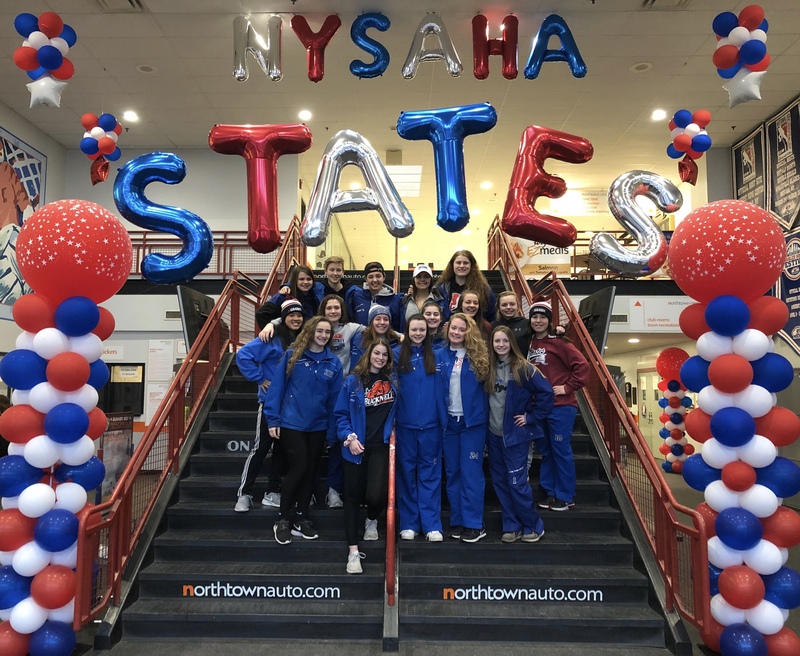 With their strong performance throughout the season and runner-up finish at the state tournament, our 19U girls have qualified to play for a National Championship. Our Edge teams skate out of Bill Grays Iceplex on a regular practice rotation. All Edge teams will practice a minimum of twice per week with an additional all-girls / all-org Edge clinic every other Thursday. See the specific season plans for additional training information. Should tryout turnout be very high, we will add additional teams and extra ice may be secured at Bill Grays and Rochester Ice Center. Coach Coleman will be bringing over two decades of instructional and coaching experience along with a tremendous passion for the sport, developing lifelong friends, and a keen attention to detail and communication with families to lead the development of our 2009 and younger skaters. 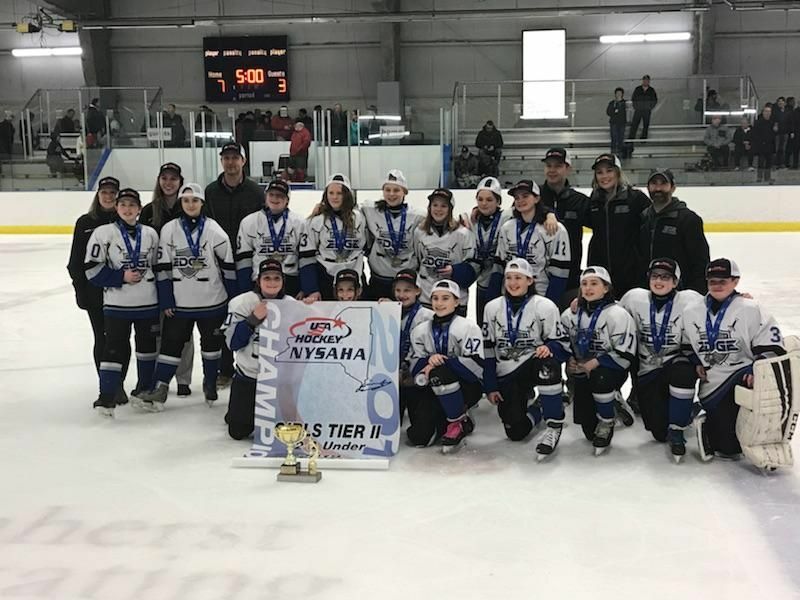 Aaron has most recently coached a 10U girls team to a regular season championship in the Empire Amateur Hockey Conference boys Squirt Blue division and concluded their season as champion of Perinton’s Big Thaw Tournament. Coach Coleman’s season plan is going to follow the USA hockey development model. The team will target 35 - 40 games and over 80% skating & skill work in practice. The players will be introduced to general defensive and offensive individual and team concepts. Players will also learn to play every position and enjoy fair ice time in games. Aaron will ensure that all of the girls become much better skaters, passers, shooters and puck handlers so that they can continue to enjoy their progression through hockey. Read more about Coach Aaron here. Stay tuned for more season information and some exciting coaching and training updates. If you have questions about next season, feel free to contact us rochesteredgegirlshockey@gmail.com. Come celebrate our 2019 Senior Class of Edge players as the 19U team takes on the Carolina Junior Hurricanes. Our great group of young ladies includes state tournament champions, multiple tournament champions, two Tyler Putnam award winners, and a fun group of dedicated and hard-working ladies. Coach Wiesenberg returns for his third year as head coach for the Edge org. His last two years were as coach of the 16U Tier 2 TB teams, which competed (2018) and will compete again (2019) in the NY State Tournament. In the previous 4 years, he was an assistant coach with Edge from 12U through 14U, while also serving as head and assistant coach for RYH boys AA travel hockey. He was also part of the coaching staff of the 14U Tier 2 State Champion Edge team in 2016/17. Before that he also served as head coach and assistant coach for boys RYH and Grizzlies for 6+ years. Eric’s coaching philosophy revolves around effort being the foundation of a successful team. He often quotes Section V Hall of Fame coach, Werner Kleeman's, E=R (Effort = Results) in and out of the locker room. "I'll take an average player with a ton of heart over a lazy talented player any day". Coach Wiesy is looking forward to his team competing at Tier 2 TB next season. Wiesy has been a hockey lifer and his travel hockey career includes playing for Barry Smith with the Junior B Monarchs and his college hockey at Brockport. 10U program --> expectation is for this team to play in an Empire white or red squirt league in addition to selected girls tournament and independent schedule. The practice schedule will be on a regular rotation and be known to families well in advance of the season to aid in planning. When not on clinic ice or its own ice, the team will share practice ice with our 12U team and/or additional 10U teams as registration permits. The 10U program is for girls with 2009 and 2010 birth years. 12U program --> our expectation is to field a Tier 2 tournament bound team at the 12U level. The 12U level is primarily for skaters with 2007 and 2008 birthdays, though skill appropriate younger players can play at this level as well. The season plan for the team will be determined after the selection of the team. Our current 12U team plays in a Pee Wee Minor Boys AA travel division in the WNYAHL in addition to being full time members of the Great Lakes Girls hockey league and playing a selection of girls and boys teams on top of that. The practice schedule for our 12U team will be on a regular rotation known to families in advance of the season to aid in your schedule planning. When not on clinic ice or its own ice, the team will share practice ice with our 10U team and both will place a strong emphasis on skill development including skating, stick handling, hockey sense and creativity. 14U program --> our 14U program will offer training on a regular schedule three days per week. When partnering for practice, the team will be sharing ice and working with our 16U program. Check back soon for additional program details. 16U program --> our 16U program will offer training on a regular schedule three days per week and will play at the Tier 2 Tournament Bound level. When partnering for practice, the team will be sharing ice and working with our 14U program. Check back soon for additional program details. 19U program --> our 19U program play at the Tier 2 Tournament Bound level. We will offer a lighter practice schedule during the early part of the season to accommodate fall high school sports, and pick up the pace as the autumn turns to winter. If there are enough players and coaching interest, we will be offering additional teams to accommodate. The most likely additions to the program would be an additional team at the 10U level that may be comprised of younger (majority 2010) skaters and chooses to play in an Empire Blue division (or higher as interest and talent level indicates). We would also be able to offer a non-tournament bound program for girls at older ages looking for a place to play with girls but who may not be interested in, or able to make the commitment that the older travel teams would require. The five teams indicated above will practice in centrally located Bill Grays Regional Iceplex on a regular rotation and mostly on nights when most or all of the girls teams in the organization will be at the rink. This enables the coaches to work together and share ideas and help out on the ice, for the girls to get to know each other across all age levels, and for families to have a chance to get to know each other and share their knowledge with each other. 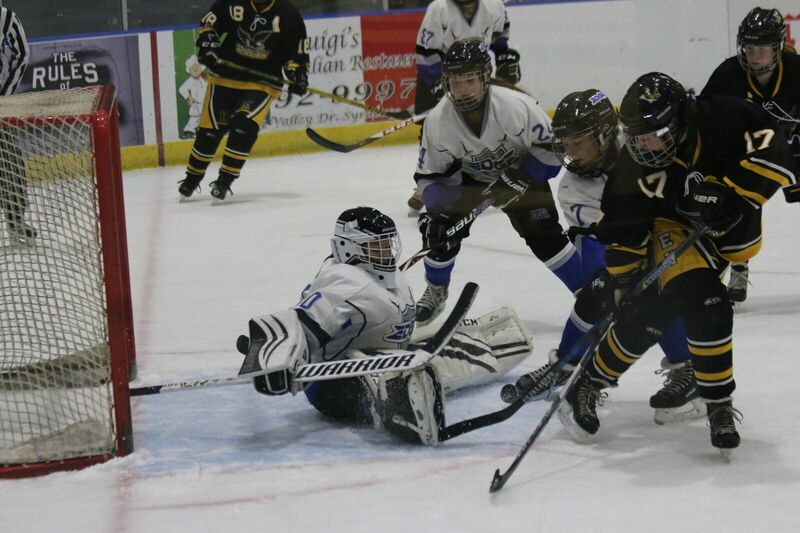 If additional teams materialize, we may purchase additional ice at Bill Grays or other rinks in the Rochester area. The Edge program includes an "all-org" clinic to be offered every other Thursday. The Edge program includes a regularly scheduled goalie training that is open to all goalies across the organization. The dates and times for the goalie clinics will be posted after each of the teams secures their practice ice schedule for the season. The Edge program has for years put on an annual girls summer camp. Participation in the camp (it has sometimes been a 4.5 day camp, or as short as a 2 day mini-camp) is not mandatory, but it has been very popular in the past and has been well attended by players at all age levels. We will post information about our summer camp plans soon after tryouts. The amount of extra training, number of games, tournaments, ultimate team cost, etc. is determined on a team-by-team basis by the teams themselves. The organization itself does not dictate what each of its teams must do in terms of the intensity of its season so long as the focus remains on long-term player skill development, building confidence and empowering each player to play to the best of their abilities. Interest in Coaching an Edge Team Next Season? We are now accepting coaching applications for the 2019-2020 season. Applications are due by Friday, February 8th, and can be completed by navigating to our online application form. If you have any questions, please contact Mike Rizzo at rizzo.liberty@gmail.com. The Rochester Edge Girls Hockey program is excited to announce the launch of a Tier 1 Girls Hockey Program at the 14U level for 2019-2020. “This continues the exciting tradition of success at the highest level for the Edge Program” states Cassy Opela, Director of Hockey Development. Cassy herself was a member of two Tier 1 championship teams with the Edge. The head coach will be Sigmund VanDamme who coached the Edge 12U team to a state championship last year. Sigmund is a USA Hockey Level IV coach with over a decade of experience in coaching youth hockey. 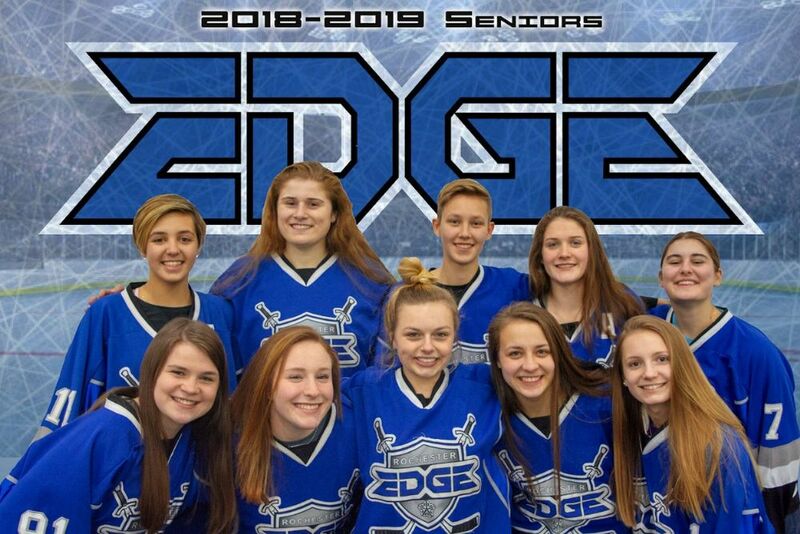 The Edge 14U team will have the highest level of on-ice development of any team in the upstate NY area. Each two-week practice rotation will include seven-touches and nearly 8 hours of ice. The program will include a weekly clinic led by Rob Sedia of the NewEdge Hockey Development Academy. Rob and the NewEdge team implement a unique training system that is used by multiple NHL and Division I players with an intense focus on developing elite performance skating, puck skills and hockey sense. All of the 14U practice ice will be run out of centrally and conveniently located Bill Gray’s Iceplex. Our girls will also be regularly training with women who have played and participate in women’s hockey at its highest levels. Cassy Opela (Edge alum and a four-year Division 1 player at UCONN) and Jess Prance (captain at Elmira College) – will be working on practice and player development and be regulars on ice with our girls. Robyn Van Zeilen will be working on skating. Jodi Price (Edge alum and referee for women’s hockey at all levels including the NWHL, the IIHF World Championships, and NCAA Frozen Four) is a trainer with NewEdge who will be assisting with both goalies and skaters in our clinics. Our 14U tryouts will be held on April 10th and April 11th at Bill Gray’s Iceplex. Our Edge program is proud to announce that Scott Reston will be taking the reins of the 16U Tier II Tournament Bound program for the 2019-2020 season. Joining Coach Reston on the coaching staff will be Robyn VanZeilen – one of Western New York’s most well respected hockey skating instructors and who herself enjoyed a distinguished career in hockey in Canada – including attending Notre Dame Academy in Saskatchewan. In addition, both Cassy Opela (an Edge alum, Cassy played four years at D1 UCONN and professionally in the CWHL) and Jessica Prance (four year player and team captain at Elmira) will be working very closely with Coaches Scott and Robyn with the 16U program on player development. Rochester Edge Girls Hockey is excited to announce a new partnership with the NewEdge Hockey Development Academy (NEHDA) for the 2019-2020 season. NEHDA and Coach Rob Sedia have rapidly developed a reputation throughout Western New York and beyond for their deep knowledge of the game, innovative training techniques, and relentless tempo and education in every one of their skills development sessions. Coach Sedia and NEHDA have extensive experience training dedicated hockey players from the youth level through the highest levels of competitive hockey including the NHL. NEHDA has been endorsed by great hockey minds like Jim Corsi, Ron Rolston, Darcy Regeir, Chuck Weber, and Chadd Cassidy (among many others), and their recent expansion into the Buffalo, NY market headed by 25 year NHL coach/trainer/scout Jon Christiano has attracted the area's top players. NewEdge Hockey Development Academy has become NY’s go to company for on-ice training, player education seminars, coach education seminars, and scouting for the NCAA D1 and elite level – tuition free Junior Programs. “Throughout the past 10 years I have had the great pleasure and honor to work with a large number of hockey players, teams, organizations, and coaches from all over North America. During that time, I have learned how and why hockey organizations (and coaches) either succeed or unfortunately fail. There are a number of common characteristics among the flourishing organizations as well as the fading ones. “The addition of NEHDA to our player development program is a cornerstone of our restructuring. Coach Sedia’s emphasis on continuing coach and player education, individual resilience and character development along with an emphasis on performance skating, individual skills and increasing compete levels will enable our young women to develop the individual and tactical skills needed to gain superior confidence both on and off the ice. The Rochester Edge Girls hockey program is excited to announce that Edge alum Cassy Opela has joined the organization as Director of Player Development. Coach Cassy will be providing on- and off-ice instruction to players and coaches at every age and skill level throughout the organization. Cassy will also be providing expertise in promoting girls hockey throughout the Rochester area and beyond, and providing services to our girls and families who have an interest in continuing their hockey careers beyond their youth hockey experience. Cassy grew up in the Rochester area. During the 2006-2007 season, she played for the Webster Tier 2 Girls State Championship team. From 2007-2011, Cassy played for the Rochester Edge. While with the Edge, she won two more state titles at Tier 1 in 2009 and 2011. In 2009 she also was a runner-up at the 2009 national tournament and invited to the Team USA National Development Camp. For the 2011-2012 season, she played in the JWHL for the Boston Shamrocks. During the season she was recruited by the University of Connecticut (UConn) where she spent the next 4 years. 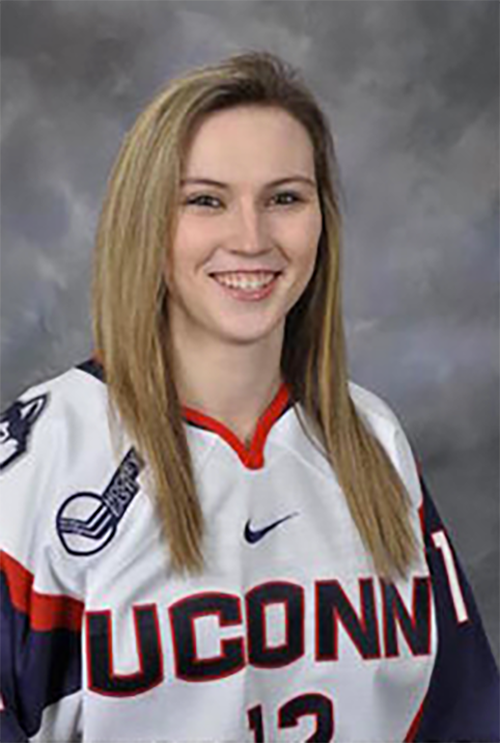 After graduating, Cassy was drafted 11th overall into the CWHL by the Boston Blades. 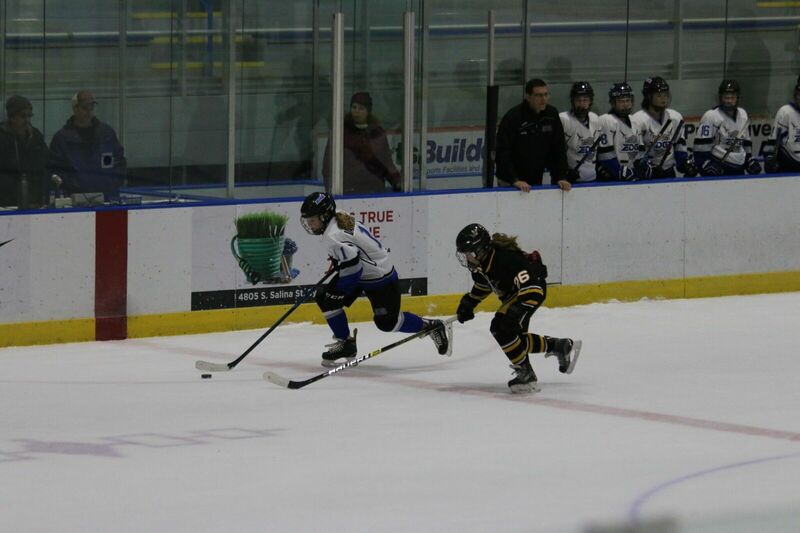 While playing for the Blades, Cassy also was an assistant coach for the New England Hockey Club in the JWHL. She has now come back home and helping to coach the Rochester Edge at all levels, and to grow the girls game in Western New York."